ezDI Launches Coding Compliance and Auditing Platform "ezAssess"
​​​​​​​​​​​With the launch of ezAssess™, ezDI combines coding, CDI and compliance into a single automated workflow. 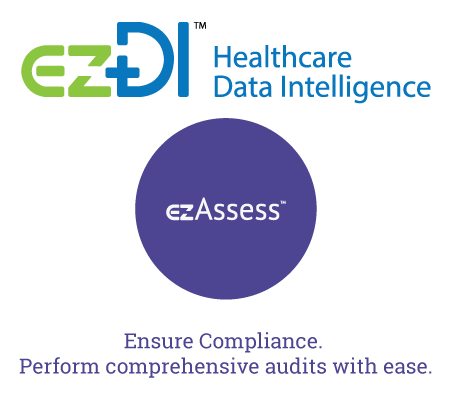 The ezAssess module is integrated with ezCAC™ and ezCDI™ which are already revolutionizing the CDI and Coding workflows for hospitals. Built with advanced Natural Language Processing capabilities that includes Computational Linguistics, Semantic Web, Knowledge Graphing and Machine Learning, ezAssess is targeted at transforming the coding audit process from a retrospective, stand-alone process into an automated, real-time, proactive/collaborative and effective revenue cycle compliance solution. ​ezAssess’ advanced case-search and selection module enables auditors to create meaningful auditing samples by sampling cases using a variety of parameters like DRG, Principal Diagnosis, Secondary Diagnosis, Procedures, GMLOS, LOS, Payer, Financial Class, and many more. ​ezAssess generates an automated Audit Report for audited case that presents a code-by-code comparison of the coder’s and auditor’s version. The comparison includes detailed changes such as POA changes, changes in code ranks, missed CCs/MCCs, changes in discharge dispositions, and changes in DRG, weight, SOI and ROM. Even missed query opportunities and physician documentation issues are quantified for every single audited case. Like all modules of the ezDI platform, ezAssess has an integrated reporting module that provides a wide range of real-time reports on coder performance, audit impact, etc. 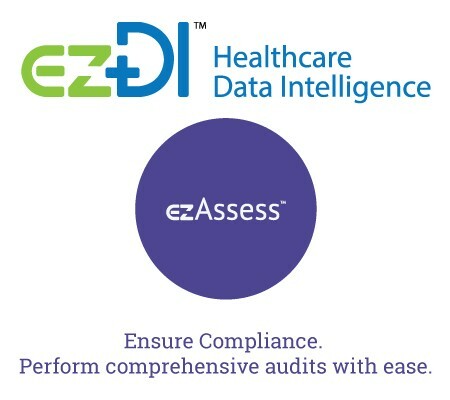 With a futuristic, cloud-based infrastructure and patent-pending technology serving as the backbone for ezCDI, ezCAC, and ezAssess, ezDI now delivers a full array of coding workflow optimization solutions that help hospitals increase coder productivity, maximize CDI coverage and provide a 360° coding compliance program. Original Source: ezDI Launches Coding Compliance and Auditing Platform "ezAssess"